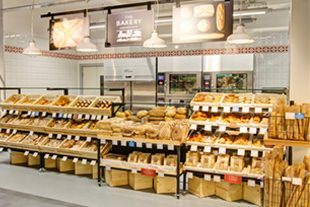 Located in the heart of Spinningfields, the new M&S Foodhall is ideally situated for office workers, and complements M&S’s existing offer in the city at Market Street and Piccadilly Gardens. The store is on the ground floor of the new No.1 Spinningfields development, Manchester’s tallest commercial office building. As well as offering extended opening hours for increased convenience for local workers, the 4,000 sq ft store features an extensive range of M&S’s quality and innovative food and drink, from everyday essentials such as the popular lunchtime Food on the Move range, to everything needed to create show-stopping dishes and desserts. Customers can take advantage of the popular Click & Collect service which gives them the option of having their M&S.com orders delivered to the store the next day free of charge. 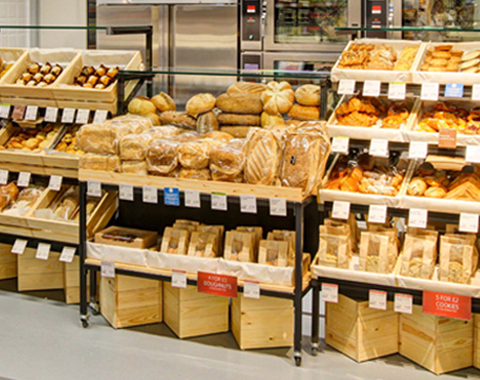 Marks and Spencer's new foodhall has opened in Spinningfields.